Kyrenia mayor Nidai Güngördü has donated the copies of the new editions of Osman Türkay’s poetry books and the compilation book of the short stories that had entered the Kyrenia Municipality Second Short Story Competition. Both books were published by the Kyrenia Municipality. A statement released by the Kyrenia Municipality quoted Mayor Nidai Güngördü as saying that Osman Türkay was a very valuable poet for our country and that he had made a major contribution to the promotion of the country. Mr Güngördü added that these books were going to be donated to all schools and libraries in the area. Güngördü explained that these books , “Yedi Telli” (With seven strings) and “Uyurgezer” (Sleepwalker), were first published in 1959 and 1969 respectively and both had long been out of print. He stressed the importance of readers being able to access them anew. Güngördü said in the wake of the news that these books had been reprinted there had been demands for them from abroad and from Turkey and added that they wanted to reprint the other books of the poet as well. He also explained that the compilation of the short stories that had been sent by the primary and secondary school students of our area to the short story competition entitled “Our Town and Tourism” had been added to the municipality publications and that printed works were of archival quality and they were of importance for the future. Arkın University of Creative Arts and Design (ARUCAD) General Secretary Vacide Gören said they were following the contributions made by Güngördü to education and arts and the events organized by the municipality at the town with appreciation. 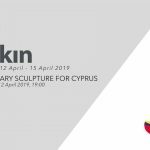 Gören said the reprint of the poetry books of Osman Türkay, who was a very important asset for the Turkish Cypriot people, was both exciting and very touching and added that these books would now be available for the readers at the university library.